Chief Data Officer, UNSW Sydney & an Adjunct Senior Lecturer, School of Computer Science & Engineering. Changes in the next year will subject Australian companies to demanding new legislation that will require them to keep a closer eye on their data - and report in detail when it is compromised. Failure to comply risks multi million-dollar fines and significant reputational damage from customers that are relying on you to keep their personal data private. Despite the potential damages, most companies concede their governance, regulatory and compliance (GRC) efforts are falling short of the expectations of legislation including Australia's mandatory Notifiable Data Breaches (NDB) regime and the European Union's General Data Privacy Regulation (GDPR), which will impact every Australian company handling EU citizens' data. Complying with these and other privacy regulations means achieving broad visibility of your data and a clear understanding of the network security, data classification, loss prevention and other security policies that you must implement and maintain. If you’re still travelling the road to compliance, come spend an hour with CSO Australia, Mimecast, and a panel of technical experts and peers for an online webinar that will walk you through the ins and outs of your new compliance obligations. Garrett O’Hara is the Senior Technical Consultant for Mimecast Australia. With two decades working in technology and broad industry experience Garrett helps companies understand the evolving threat landscape, and how next generation protection can help them mitigate financial and reputation risk. Kate Carruthers is Chief Data Officer for UNSW Sydney, and an Adjunct Senior Lecturer in the School of Computer Science & Engineering. 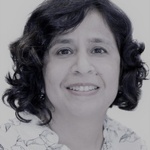 She has extensive experience in senior executive roles for diverse organisations such as GE, AMP, Scentre Group and State Government. Rebecca has over 25 years of systems engineering, information security, privacy and compliance experience, is CEO of The Privacy Professor ® consultancy, and Co-Founder/President of SIMBUS360 Information Security, Privacy, Technology & Compliance cloud services business. Rebecca has authored 19 books, including 2 published in 2017 by ISACA, and hundreds of articles. 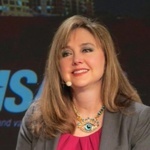 Rebecca led the NIST Smart Grid Privacy Subgroup for 7 years, was a founding officer for the IEEE P1912 Privacy and Security Architecture for Consumer Wireless Devices Working Group, and is on numerous advisory boards. Rebecca was an Adjunct Professor for the Norwich University MSISA program for 9 years. Rebecca is frequently interviewed, including regularly on the KCWI23 morning television show, and quoted in diverse broadcasts and publications. Rebecca holds the following certifications: FIP, CISSP, CISA, CISM, CIPT, CIPM, CIPP/US, FLMI. Rebecca is based in Des Moines, Iowa, USA. www.SIMBUS360.com , www.privacyprofessor.org, www.privacyguidance.com. 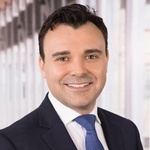 Adrian Chotar is a Partner in PwC Australia’s legal practice. He specialises in strategic technology-driven transactions, complex telecommunications supply arrangements and large scale commercial projects involving regulated infrastructure. 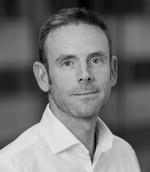 His practice includes advising on all aspects of high value commercial transactions, technology intensive supply and services arrangements, domestic and international inter-carrier arrangements and regulation, technology M&A, IT transformation projects, business process outsourcing, cloud and ‘as-a-service’ arrangements, data protection and privacy. Anthony’s work career has been quite diverse. With a degree in biological sciences, he has worked as a secondary school teacher and vocational trainer before joining the IT department of Bonlac Foods and then going to the utilities industry where he gained extensive experience in project management and business analysis. He has worked as the Head of IT within the energy industry and in education. For the last decade Anthony has worked as freelance journalist, wiring for most of the major Australian technology publications. He also appears on radio regularly and on A Current Affair, Today Tonight, The Project, The Buisness and other national TV shows. He also present at conferences and events, and provides media training.